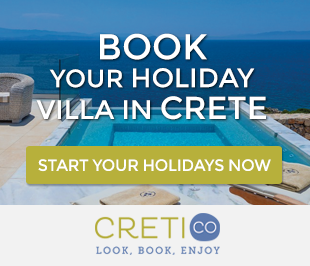 Are you looking for something to bring back as a souvenir from your amazing holidays in Crete? Here are some of the most representative Cretan souvenirs you can find and buy, from beautiful folklorist Cretan accessories to delicious traditional products that will always remind you Crete. 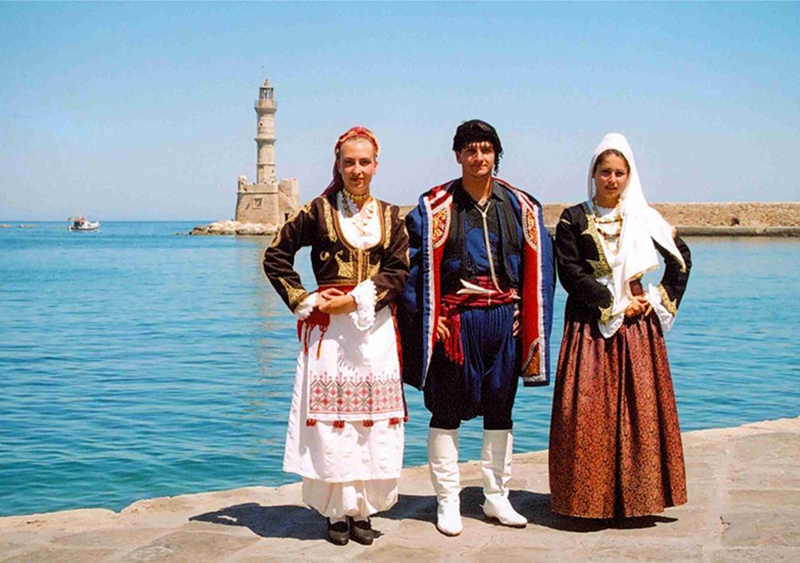 The famous Cretan costume even today is worn by men on a daily basis in some villages, but mostly by men and women in traditional Cretan feasts and festivals. Female Cretan costume consists of a pleated embroidered dress, an embroidered apron and a sleeveless embroidered jacket over the silk shirt. The outfit is completed with embroidered silk kerchief and various jewelry and coins in the chest. As for the male traditional costume, common throughout the island, there are two types: daily and formal. The daily costume consists of black linen breeches, shirt and a long belt wrapped several times around the waist. The official costume is made of good quality blue felt and consists of pleated breeches, embroidered vest, silk shirt and long silk purple belt. 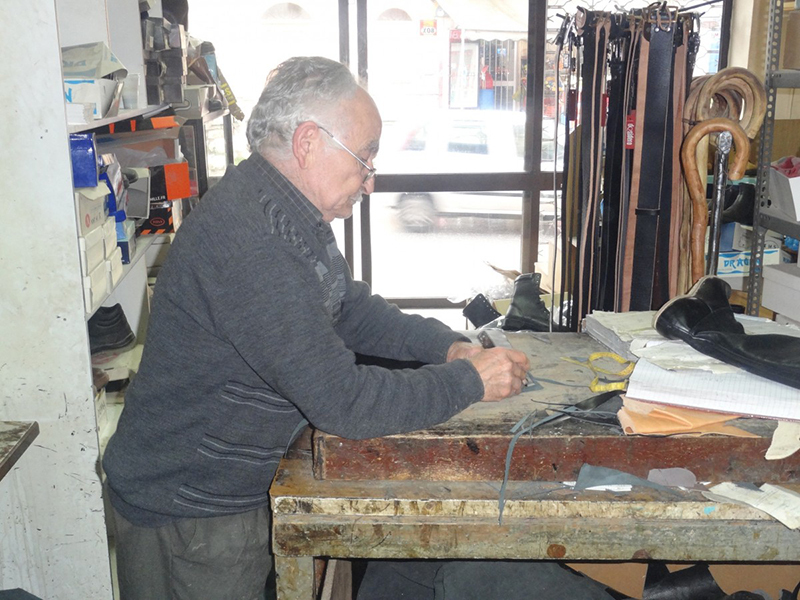 You can find Cretan costumes in traditional tailor shops. A characteristic feature of the male costume is the Cretan leather boots, black for everyday use and white for official cases. The specific boots are made exclusively in Crete and their design is unique. Each pair is worn only by the person who ordered them, as they are adjusted so as to fit his own feet. You can find leather boots in two main types: One-piece and patched. The one-piece type is made of a single piece of leather which, after being processed on a wooden mold that has the shape of the foot. The patched type is made of two pieces of leather: one for leg and one for foot that are patched together. Stivanadika in Skridlof street in Chania was the main market where somebody could find Cretan leather boots as well as many other Cretan souvenirs. Today there are only a few manufacturers left who can make your own “stivania”. 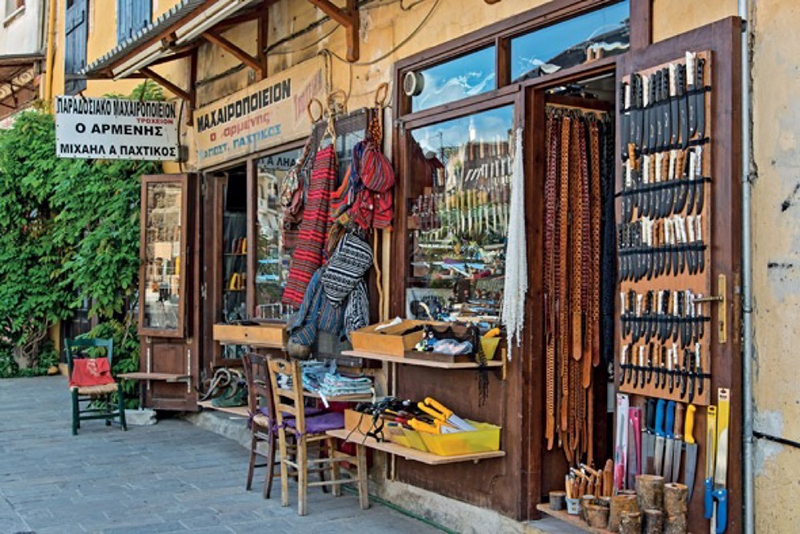 In Stivanadika you will also find local leather goods such as bags, wallets, sandals and many other Cretan souvenirs. 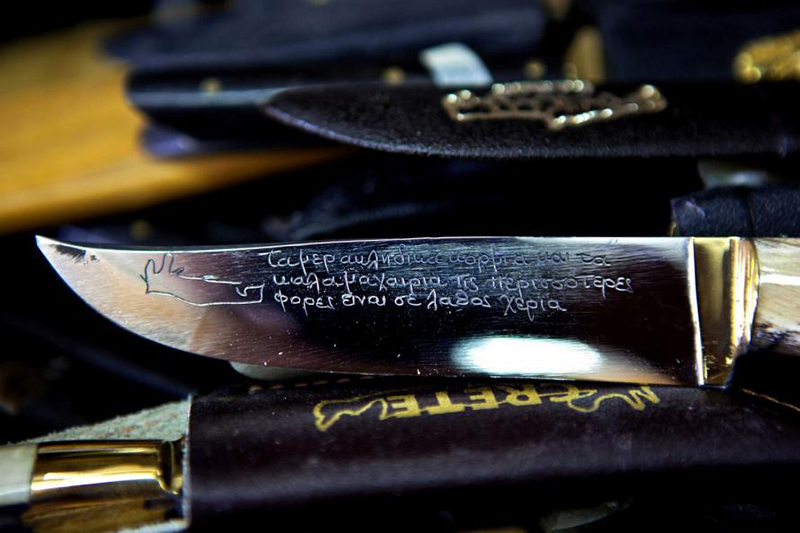 The Cretan knife is one of the most popular souvenirs in Crete. As a symbol of the Cretans’ pride, Cretan knife was shaped as we know it today, from the Turkish conquest and was established as an integral part of the Cretan costume. The Cretan Knife is one of the most popular Cretan Souvenirs. There are three basic types: “voskomahero” (the shepherd knife), “basalis” (the boss), and “saita” (the shuttle). Usually, you will see a traditional Cretan serenade curved on the knife. “Machairadika”, from the Greek word “machaíri” (= knife), were the knives shops located, are in Sifaka St., in the Old Town of Chania. Today unfortunately, there is only one shop left that still makes them. 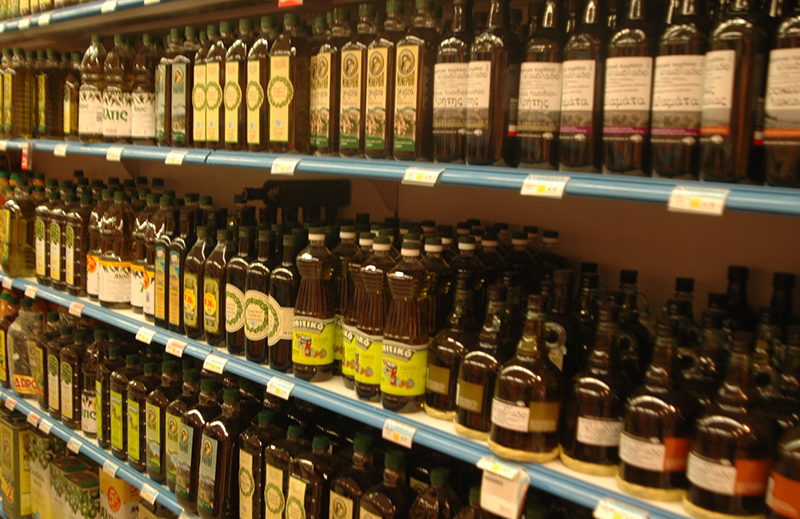 It is believed that olive oil is the biggest secret of the Cretan diet and the Cretan’s longevity. Medical researches done and continue to be made in Europe and America show that olive oil not only protects the heart and contributes to proper functioning of many organs. You can of course use it in cooking or instead of butter in your breakfast, by tasting rusk dipped in Cretan virgin olive oil. It’s the best, the healthiest, the most delicious breakfast. 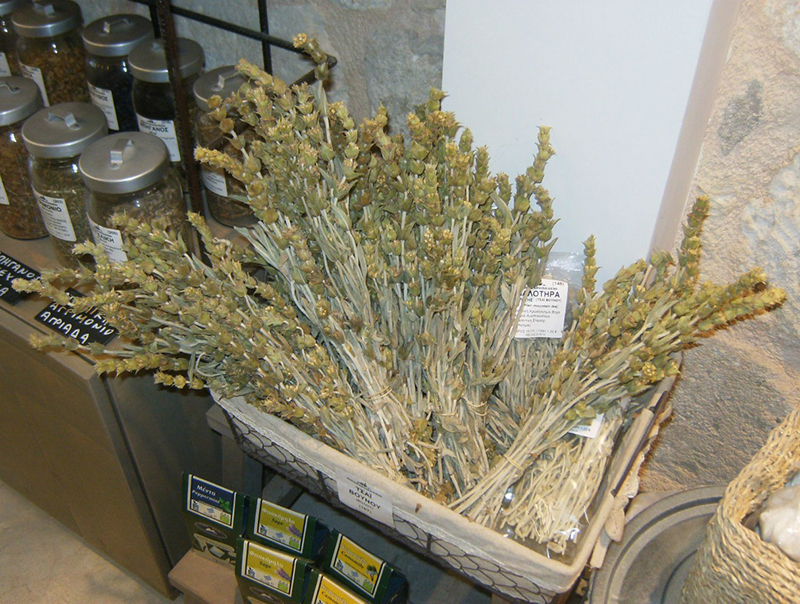 Crete is famous for its herbs that grow everywhere in the mountains, cultivated areas and the coastal areas. Several of these are endemic, and are very popular since antiquity, for their medicinal properties. 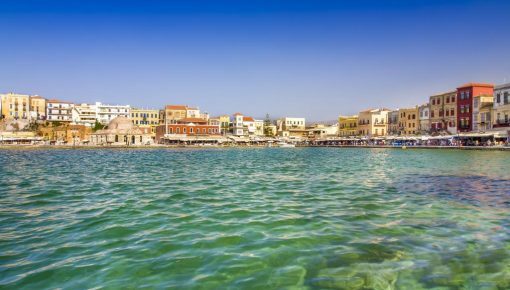 Chamomile, sage, malotira, rosemary, marjoram, mint and oregano are only a few of the miraculous herbs of Crete, not only used as a beverage, but also for cooking. It is no coincidence that the Cretan cuisine, one of the most delicious in the world and of high nutritional value, includes herbs as its basic ingredients. Wine is produced in Crete since ancient times. Nowadays, young winemakers combine their studies in Oenology and state-of the art equipment, in order to make award-winning wines from the precious grape varieties of Crete. Their passion for the wine makes the difference… Don’t miss the opportunity to participate in a Cretan wine tasting. Which Cretan wine better fits in your palate? Be sure to include some bottles of it in your suitcase! 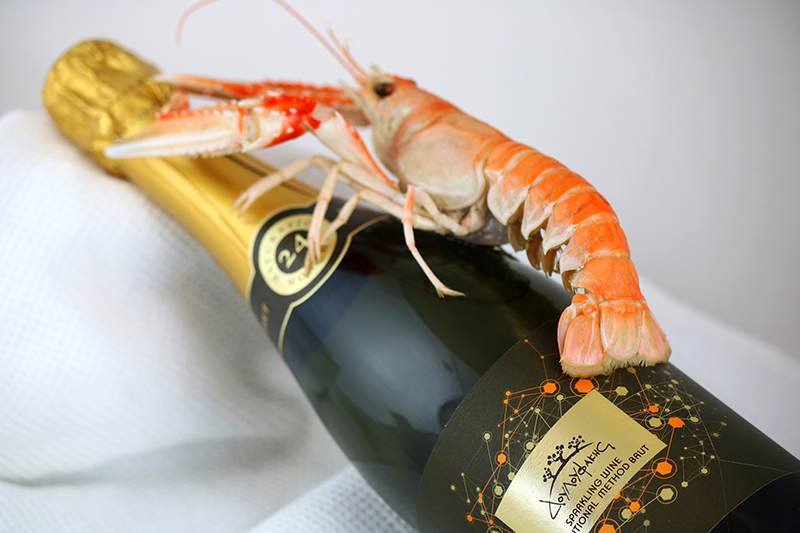 A recommended brand of quality wines is Douloufakis. 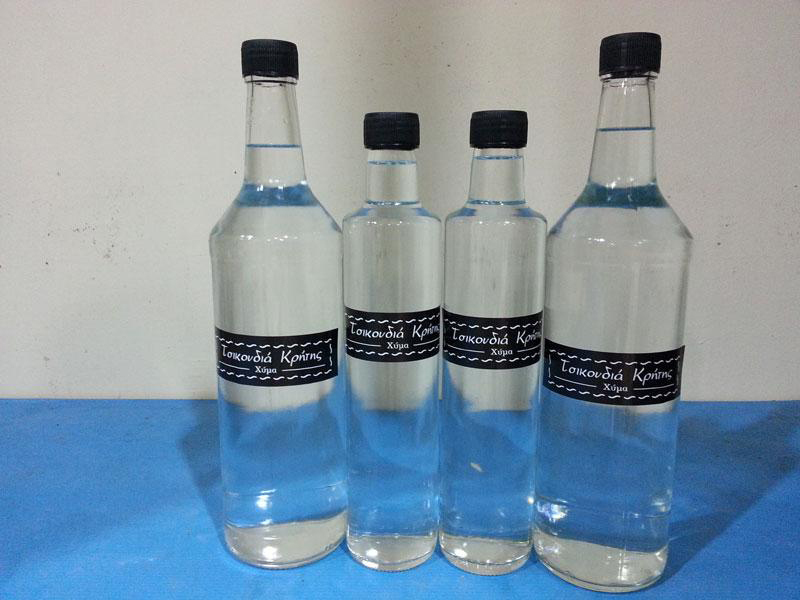 Raki or tsikoudia is the local drink produced from Cretan marc. Raki, as a treat in Crete, is a symbol of friendship and nobility, and the mean of social communication. Raki , is highly digestive, especially after a high-fat meal. When it is warmed, raki offers instant relief to a sore throat. It is also soothing to various forms of colds. 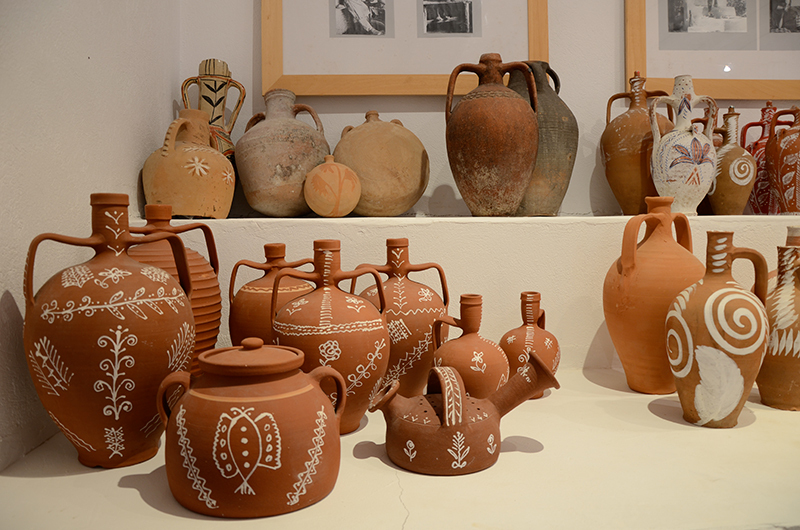 It is a perfect Cretan souvenirs as it is stored in small bottles that you can easily take home with you. Dairy products are an excellent option among souvenirs in Crete. Try local cheese, like gruyere (made of sheep’s milk), feta (white cheese), myzithra (unpasteurized fresh cheese made from milk of sheep or goat) and anthotiro (produced from sheep’s and goat’s milk and has very little salt). 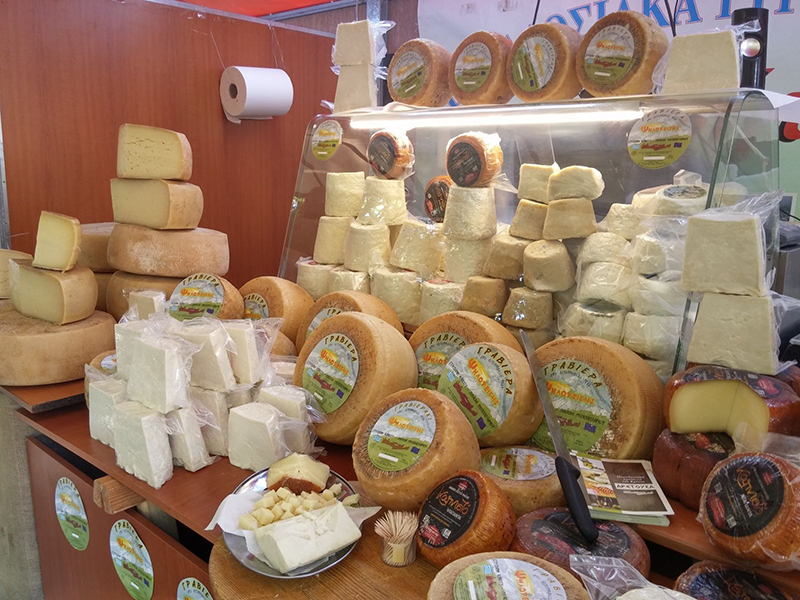 Gruyere is always a safe choice and the most popular cheese in Crete! We recommend you to buy the cheese on your departure date after asking the cheesemaker how many hours it will be preserved without refrigeration. Gruygere is an excellent choice because of its durability. The long tradition of weaving appeared in the 19th century and is still practiced today in Crete. 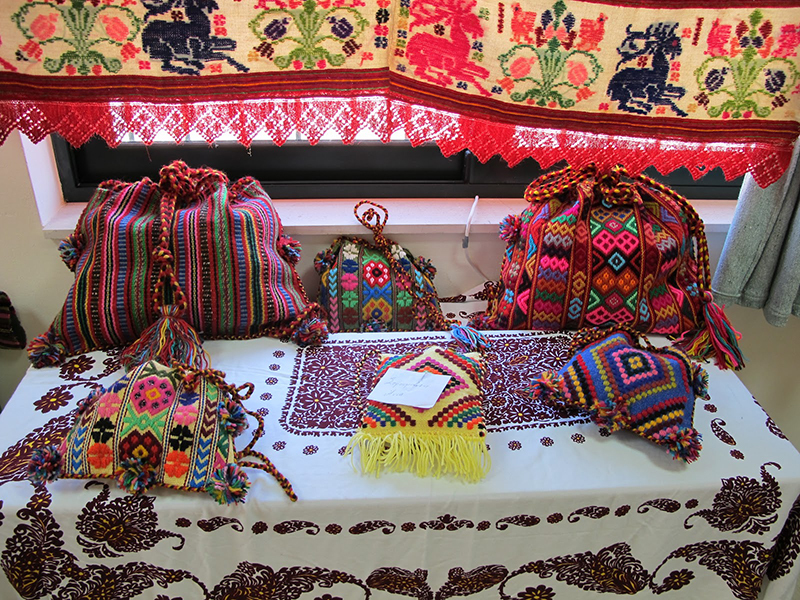 In addition to hand-woven rugs and blankets, you can find very beautiful lace and embroidered handkerchiefs, aprons and tablecloths available in all colors and sizes. Traditional shops with textiles can be found among others in the villages Anogia, Zoniana, Zaros and old town of Chania. You will be impressed by the perfectly crafted embroideries, which are made partly in hand after several months of work. Particularly projects especially in bags, you can find in Kritsa, Lassithi Plateau and Fodele. The art of pottery dates back to the 7th millennium BC. Famous is the huge Cretan storage jars, which in Minoan times were used for storing and transporting the oil. They were produced by potters families, traveling from village to village. Not only in the traditional pottery village Margarites and Trapsano, but throughout the island you can find very beautiful ceramic products. The manufacturing of Cretan pottery presents utilitarian objects, such as vases, bowls, plates and dishes and pure art such as wall reliefs, statues and sculptures. 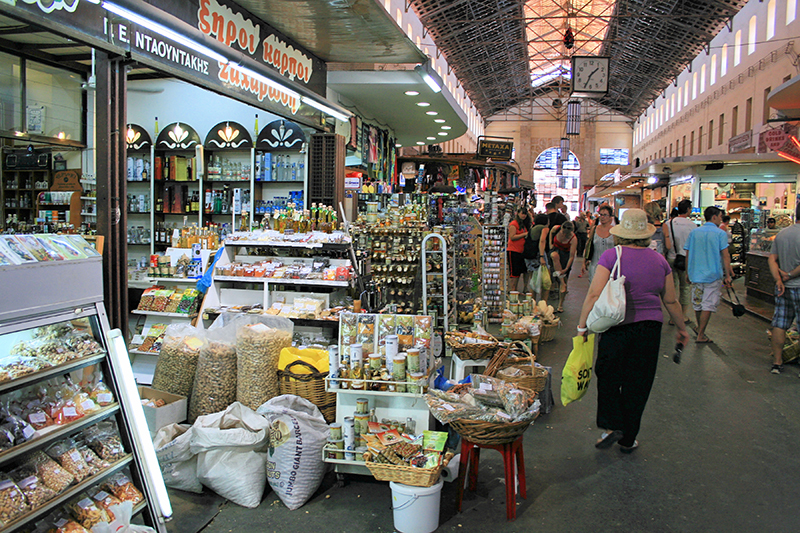 The most popular places you can buy souvenirs in Crete, is of course the Old Market and Stivanadika in Chania, the Old Market in Heraklion, the Old Town in Rethymnon and generally, shops with traditional products in Cretan villages. 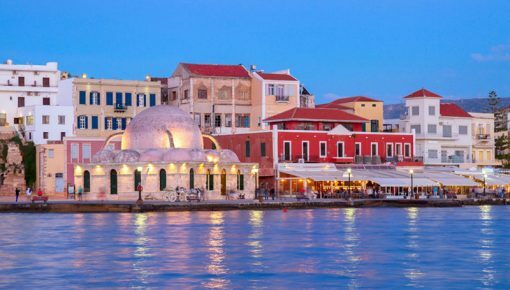 Posted on 14 Sep 2015 in Cretan Culture and tagged Chania Highlights, Old Town Of Chania.